Two more Captain Oi! 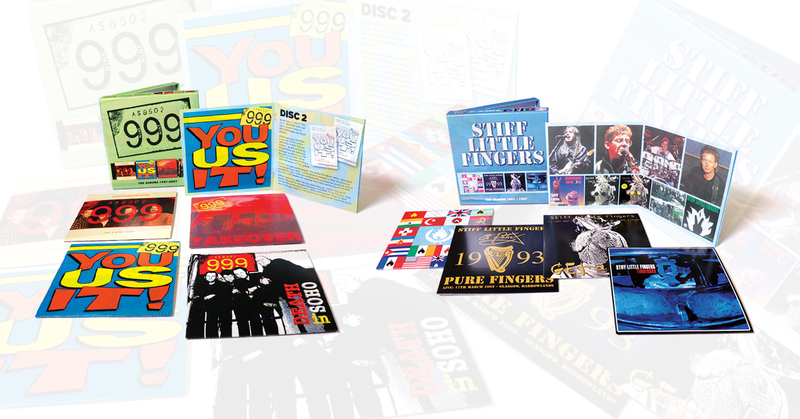 Box Sets on the way this month, check out the 999 and Stiff Little Fingers releases out 22nd February. Following on from the success of our first 999 box – “The Albums 1977-80” (AHOYBX 354) – we present a further four albums from one of the founding fathers of the whole Punk Rock movement. Concentrating on the years 1987-2007 this 4 disc clam shell box contains 61 tracks. Disc 1 is the band’s first official full length live album “Lust Power And Money”. Recorded at the legendary Klub Foot in London it has a track listing that reads like a “Greatest Hits Live”, with classics such as ‘Nasty Nasty’, ‘Emergency’ and ‘Homicide’. The second disc features 1993’s ‘comeback’ album “You Us It!” which saw the addition of new member Arturo Bassick, formerly of The Lurkers. Disc 3 is the “Takeover” album which was originally released in 1997 by seminal Indie label Abstract Records. last studio album issued by the band. The 20 page booklet contains in-depth liner notes, pictures of all relevant sleeves plus memorabilia and clippings from the era. Still going strong to this day 999 are the only band to have played every one of the “Rebellion” Punk Festival’s in all its guises and they already have the following dates confirmed before the 2019 event. 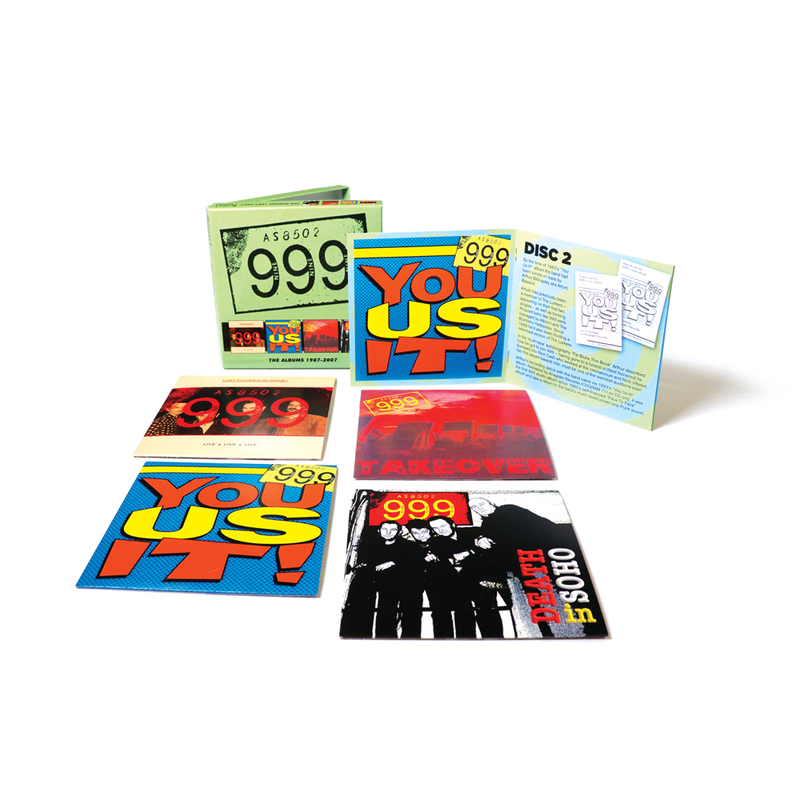 This 4 CD 64 track clamshell box set covers the albums issued by Punk legends Stiff Little Fingers between 1991 and 1997. Disc 1 is the band’s ‘comeback’ studio album “Flags And Emblems”. It was the first to feature ex-Jam bassist Bruce Foxton. Includes the single ‘Beirut Moon’. The band’s yearly St. Patrick’s Day show at Glasgow’s Barrowlands is always sold out and Disc 2 features one of the first they ever did. This is the last release to feature original guitarist Henry Cluney. 1994’s “Get A Life” album is Disc 3 and saw the band down to a trio of Jake Burns, Bruce Foxton and Dolphin Taylor. Includes the singles ‘Harp’ and ‘Can’t Believe In You’ and now comes with three ‘unplugged’ versions of well-known tracks from their early days. The final disc is 1997’s “Tinderbox” album, now restored to its original sleeve. 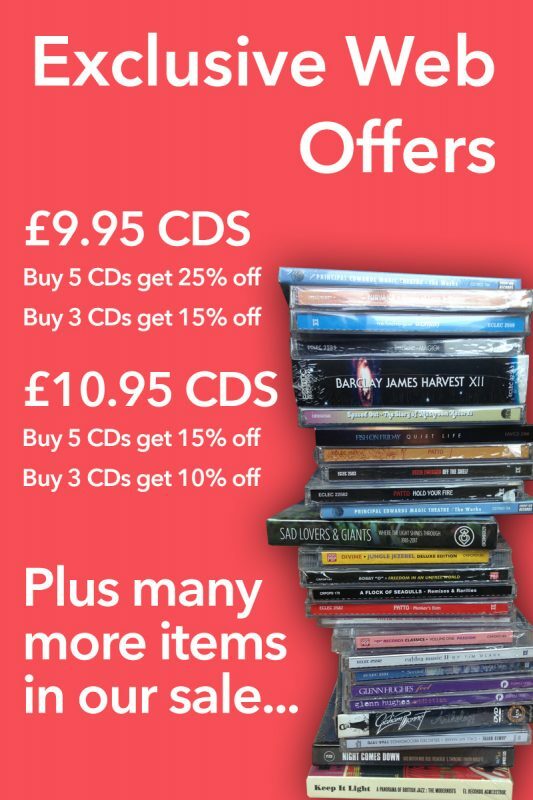 booklet contains rare clippings and memorabilia as well as pictures of all relevant releases.